Give your students and graduates the tool to build compelling portfolios that effectively express their talents, passions, and market themselves as creative professionals. 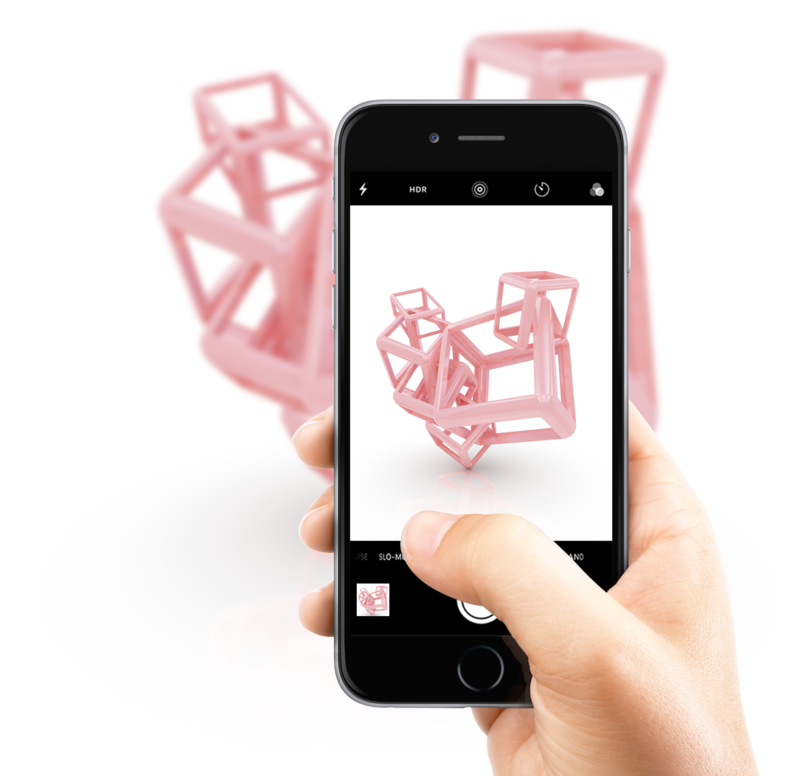 Students, graduates, or faculty can easily create a profile using the school's email address and post any kind of creative work (Photos, Videos, 3D Art, or PDF Documents). Not near a computer? Not a problem, users can upload photos from any mobile device browser. 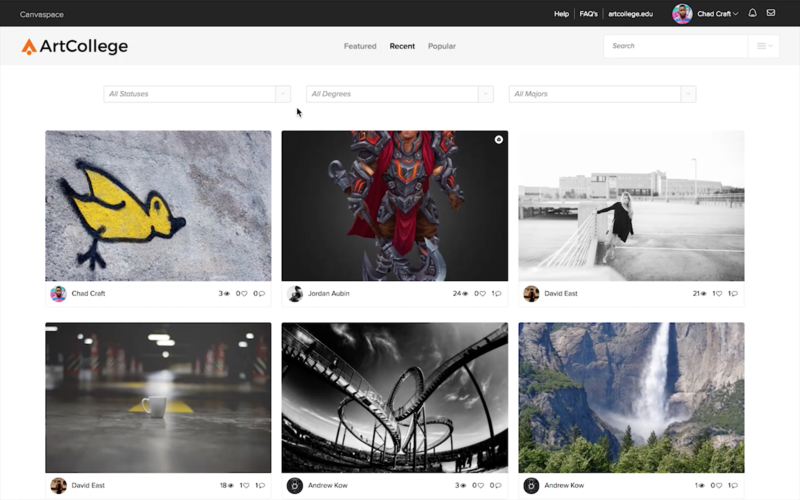 Employers, visitors and users can discover work and people through fluid search and get inspired. Searches can be filtered by name, degree type, major, keywords, and tags. Canvaspace can be integrated with your school's website and other platforms. 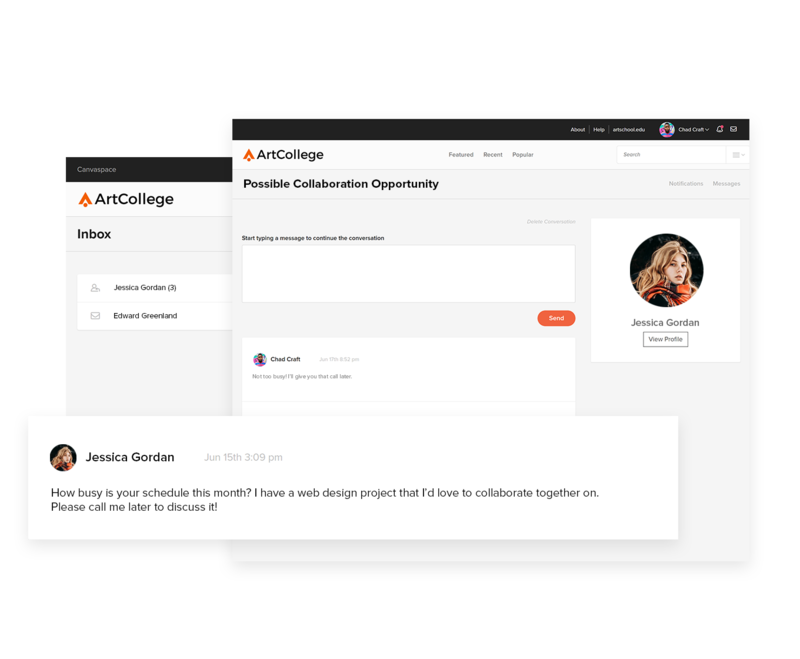 It's a great way to feature projects throughout the school's digital ecosystem and increase engagement. 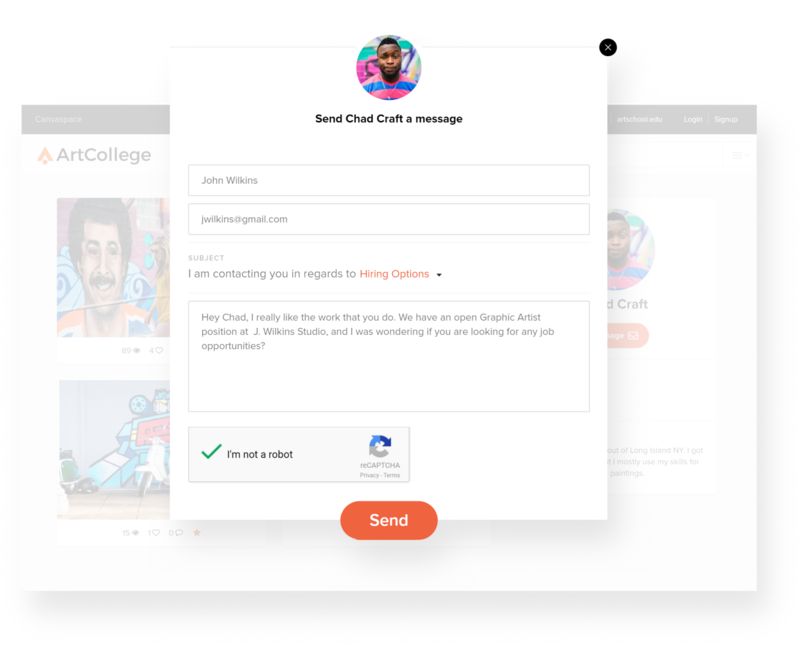 Guests can send private messages to registered users, making it easy for artists to expand their network and find employment opportunities. 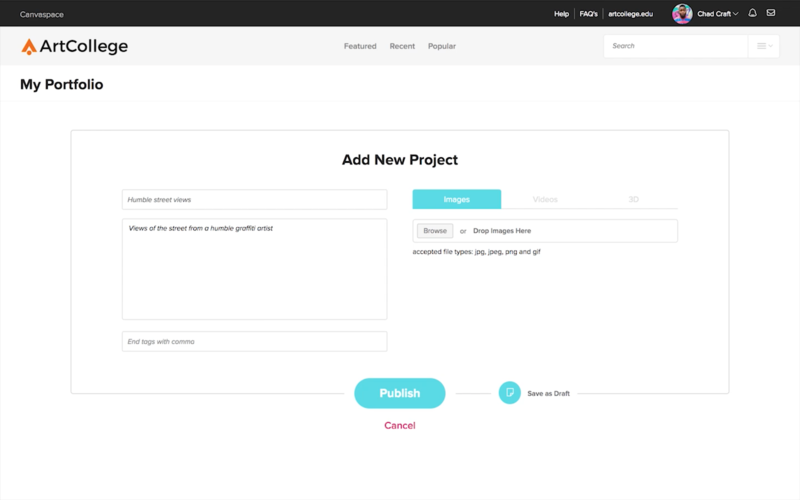 Like guests, registered users can also direct message each other to offer feedback or collaborate on projects. Visitors can like and share work. Verified users can comment on work to provide their professional opinions. "At Maine College of Art (MECA), our Artists at Work team partners artists with employers that want to utilize their creative talents— MECA’s Portfolio platform streamlines this connection. The Canvaspace team is a pleasure to work with; they were extremely responsive through out the process. 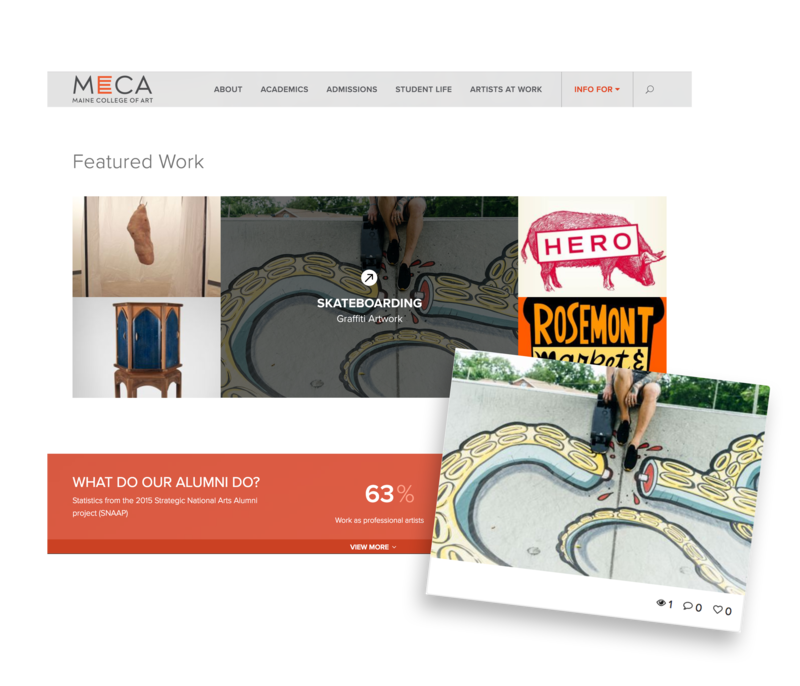 As an alum of MECA, having a local business reach out to hire me based on the work they saw from my uploaded portfolio proves this digital platform is invaluable." Questions about pricing or like to schedule a demo? Call us at 508-459-1552 or fill out the form below.